Our CEO David Richards and Chief Scientist Dr. Aahlad co-founded WANdisco in 2005. They grew the company without raising any private equity, venture capital or angel funding and led it to a highly successful IPO on the London Stock Exchange on June 1st 2012. Our IPO raised over $24 million and was oversubscribed by more than 300%. Watch the video above to find out more about how we became the Live Data company and our plans for the future. Erik E. Miller was the Chief Financial Officer of Envivio, Inc., a NASDAQ listed provider of video transcoding software from February 2010, to January 2016, following its acquisition by Ericsson AB. From January 2008 to July 2009, Mr. Miller served as Chief Financial Officer at SigNav Pty. Ltd., a component supplier to the wireless industry, where he was responsible for finance and administration functions; and from March 2006 to January 2008, Mr. Miller served as Chief Financial Officer at Tangler Pty. Ltd., a social networking company, where he was responsible for finance and administrative functions. Mr. Miller received a B.S. degree in Business Administration from the University of California, Berkeley. Dr. Aahlad is a recognized world-wide authority on distributed computing where he currently holds 28 patents. It was Dr. Aahlad's vision and years of persistence that led to the invention of technology that many thought was impossible - that of active active replication (WANdisco's patented DConE technology). Prior to WANdisco, Dr. Aahlad served as the distributed systems architect for iPlanet (Sun/Netscape Alliance) Application Server. At Netscape, Dr. Aahlad joined the elite team in charge of creating a new server platform based on the CORBA distributed object framework. Prior to Sun/Netscape Dr. Aahlad worked on incorporating the CORBA security service into Fujitsu's Object Request Broker. Dr. Aahlad designed and implemented the CORBA event services while working on Sun's first CORBA initiative. Earlier in his career, Dr. Aahlad worked on a distributed programming language at IBM's Palo Alto Scientific Center. 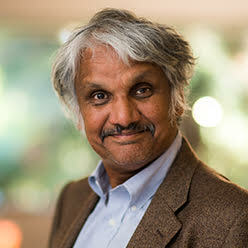 Dr. Aahlad has a Ph.D in distributed computing from the University of Texas, Austin and a BS in EE from IIT Madras. 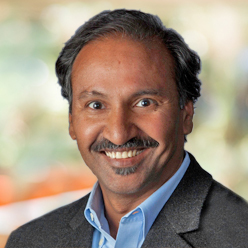 Jagane Sundar has extensive big data, cloud, virtualization, and networking experience and joined WANdisco through its acquisition of AltoStor, a Hadoop-as-a-Service platform company. Before AltoStor, Jagane was founder and CEO of AltoScale, a Hadoop and HBase-as-a-Platform company acquired by VertiCloud. 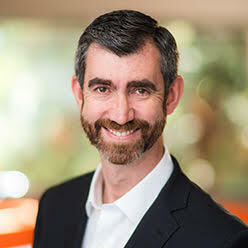 His experience with Hadoop began as Director of Hadoop Performance and Operability at Yahoo! Jagane has such accomplishments to his credit as the creation of Livebackup, an open source project for KVM VM backup, the development of a user mode TCP Stack for Precision I/O, the development of the NFS and PPP clients and parts of the TCP stack for JavaOS for Sun MicroSystems, and the creation and sale of a 32bit VxD based TCP Stack for Windows 3.1 to NCD Corporation for inclusion in PC-Xware. Jagane is currently a Member of the Technical Advisory Board of VertiCloud. Jagane received his B.E. in Electronics and Communications Engineering from Anna University. 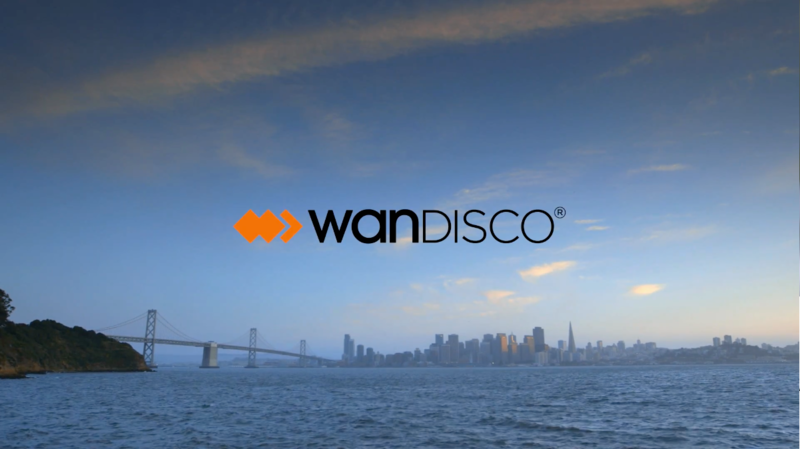 As VP of Product Management at WANdisco, Paul has overall responsibility for the definition and management of WANdisco's product strategy, the delivery of product to market and its success. This includes direction of the product management team, product strategy, requirements definitions, feature management and prioritization, roadmaps, coordination of product releases with customer and partner requirements, user testing and feedback. Previously Regional CTO for TIBCO Software in Asia-Pacific and Japan, he has built his career on technical leadership, strategy and consulting roles for major organizations. 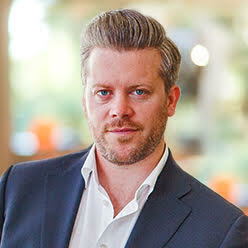 Paul has a Bachelor of Science with first class Honors and a Bachelor of Engineering with first class Honors from the University of Western Australia. Dr. Thurimella has extensive experience in algorithm design and information security. He has published over 50 peer-reviewed papers and 3 book chapters in these areas, most of them in premier ACM and IEEE venues. Prior to joining WANdisco, he held various senior positions at the University of Denver (DU), including the Director of Cybersecurity and the Chair of Computer Science. In this capacity, he has done program development and conducted sponsored research for the National Science Foundations in algorithms and cybersecurity. His industry experience includes his service as the Director of Engineering at P2 Energy Solutions, where developed two auction engines for P2, one Internet-based and other streaming, both transacting multi-million dollar oil & gas assets. He also served as a Software Architect and Project Manager at Symphony Media, a startup in media delivery space. Dr. Thurimella has a Ph.D in parallel graph algorithms from the University of Texas, Austin and an MS in Computer Science from IIT Madras. Keith has over 25 years international experience in the enterprise software industry. 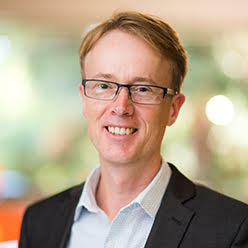 Prior to joining WANdisco in June 2014, he spent nine years with TIBCO Software in Asia Pacific including serving for over five years as Regional Vice President & Managing Director of Australia & New Zealand. Keith worked at Librados as Vice President EMEA where he was part of the founding team from start-up until the acquisition by NetManage. Before Librados, he was a Regional Director at Reuters Plc. where he was responsible for Reuters $100m+ software solutions business across over 20 countries within Europe. Keith holds an MA in Management Science and Information Systems Studies from Trinity College, Dublin and is a member of the Australian Institute of Company Directors. 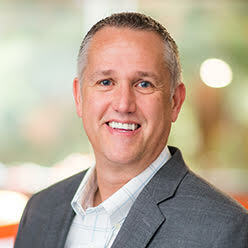 Peter Scott has over 10 years of direct sales and sales management experience in both early stage startup and mature public technology companies. 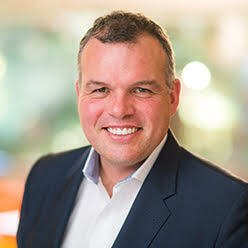 Prior to WANdisco, Peter was a member of the sales management team at Empirix's highly successful Web Business Unit, which was acquired by Oracle. Prior to Empirix, he was part of the sales management team at Vecta Software, a CRM and Business Intelligence software vendor, recognized as EMEA’s leading on-demand Sales Intelligence company. He began his career with Sales Dynamics a sales and marketing consulting company, helping early stage venture backed technology companies establish sales processes that enabled them to achieve aggressive revenue targets. Prior to his career in technology sales, Peter spent six years in the British Army with the Royal Engineers. He was awarded the accumulated campaign service medal for serving over 1000 days in Northern Ireland. 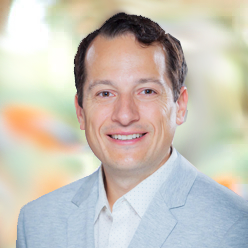 Joel is an experienced high-tech Marketing professional with a diverse background in research & development, product strategy and corporate development. Prior to WANdisco, he was the Global Vice President of Strategic Partnerships and Offerings for IBM’s Digital Business Group. 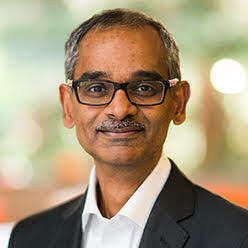 At IBM, he also led the formation of IBM Data Science and Machine Learning product portfolio thru strategic marketing and partner ecosystem development. Additionally, he delivered accretive growth at various data & analytics startups, including AVG Technologies, Datameer, Alpine Data Labs, and H2O.ai; through the introduction of platform partnerships, self-service offerings, and digital marketing. He has launched 18 new products generating $1+ billion in revenue with 50+ partnerships & acquisitions and 1M+ developers; bridging corporate initiatives with startup innovation to capture market opportunity. Joel holds an MBA in International Business from the University of Pittsburgh, an MS and BS in Nanotechnology from the College of Engineering at the University of Washington, Seattle, WA. He is a board member of NUMFocus, an advisor to a number of startups, and a volunteer in his local community. Anne is a Human Resources executive with extensive experience in providing global strategic Human Resources direction and leadership. A career spent solely in high tech industries with leadership roles in the US, Europe and Asia have provided her with the skills, experience and attitude to operate successfully in challenging fast paced and changing global environments. Most recently she was the VP HR and a section 16(b) Officer of Envivio a software based processing and delivery solutions company. Prior to Envivio she was the VPHR for Harmonic, Inc as well as the Directeur General of Harmonic Europe. Earlier in her career she has also held senior level positions at Quantum (Seagate), Schlumberger Limited and Computer Sciences Corporation (CSC). Ms. Lynch earned her B.A. at Clarke University and completed graduate studies in Linguistics at Emory University and post graduate studies at L’Universite Paris-Sorbonne. 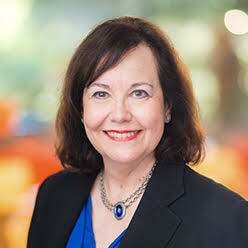 She has a Master of Arts degree in Business Leadership and Ethics from St. Mary’s College of California. 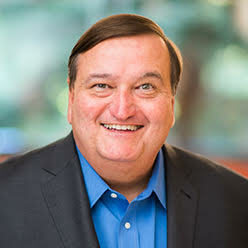 Larry Webster has over 20 years experience in providing legal services to technology companies. Prior to joining WANdisco as its first General Counsel in 2013, Larry worked at Wilson, Sonsini, Goodrich & Rosati, a large California based law firm, where he provided advice and services both to large corporations and emerging growth technology companies, including WANdisco. Larry’s legal career has included stints at Gunderson, Dettmer, another Silicon Valley firm, and Hughes & Luce, a Dallas law firm. He started his legal career at telecommunications giant Northern Telecom in Richardson, Texas. Larry holds a J.D. from Brigham Young University, a B.S. in Business Management and a B.A. in Asian Studies, also from Brigham Young University. He is a member of the Texas Bar. 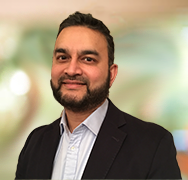 Daud Khan joined the company in February 2018 having spent the previous 18 years as a technology research analyst working at a number of financial institutions. Daud has spent the majority of his career following and commentating on infrastructure and application software companies as well as IT service companies of all sizes and across the globe. Most recently Daud was a Director in equity research at Canaccord Genuity where he was responsible for coverage of UK technology companies. Prior to that, he spent 4 years at Berenberg, where he established its Global technology research franchise. Daud has also had senior roles at JP Morgan Cazenove and Merrill Lynch. Prior to becoming a technology analyst, Daud qualified as an accountant (ACA) from PwC in 1999. Daud has an MA in Computer Science/Management Studies from Cambridge University.